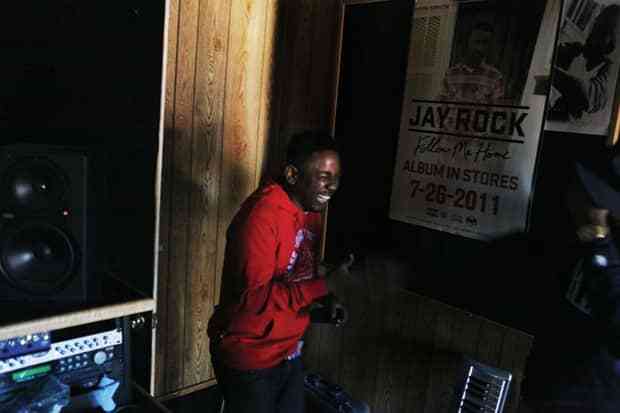 Kendrick Lamar’s debut good kid, m.A.A.d city (out on Top Dawg/Aftermath/Interscope) is now slated to drop on October 22nd, according to a press release. This is just a mere twenty days after the previously reported release date. The album will include "Swimming Pools (Drank)" and a collaboration with Lady Gaga. Lamar and his Black Hippy compatriots Ab-Soul and Jay Rock, as well as Maybach Music's Stalley, will hit the road on September 7th for the BET Music Matters Tour, starting at The Norva in Norfolk, VA. Find the rest of the tour dates here.